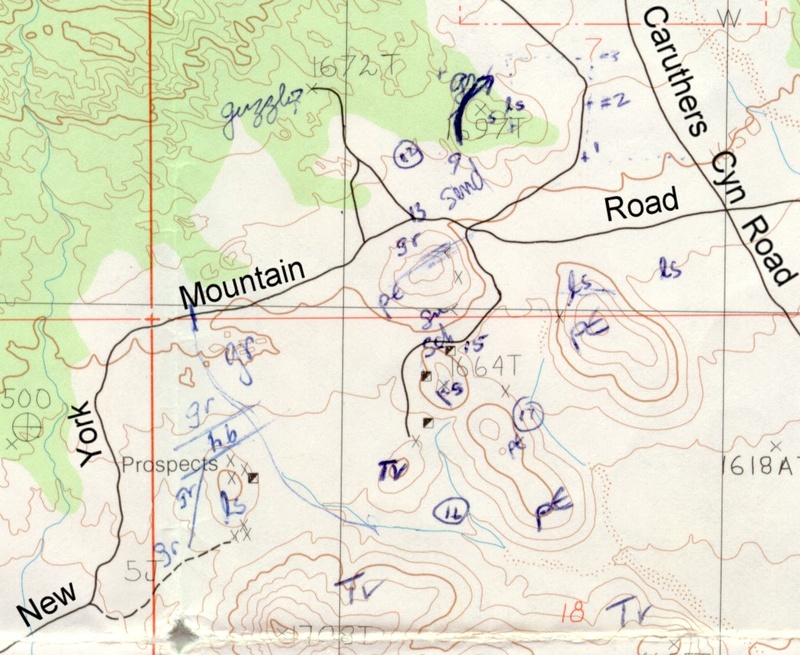 Eastern Mojave Vegetation Sketch map. This is my field sketch map of the surficial geology in the vicinity of the Golden Quail Mine. sch - schist. pE - metasandstone and metaconglomerate, possibly Precambrian and correlative with the Precambrian schist and gneiss found elsewhere in the Mid Hills, not mentioned by Hewett (1956). ls - limestone, probably Goodsprings dolomite. hb - highly sheared greenish rock, probably the Cedar Canyon fault zone. gr - granite. Tv - Tertiary volcanics, probably Peach Springs Tuff or Hole-in-the-Wall Tuff. New York Mountain Road - Mojave National Preserve: 23000.